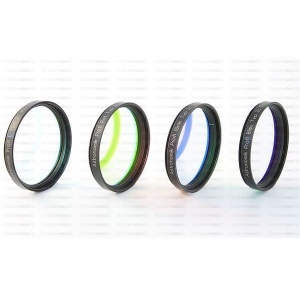 Filter set especially designed for astrophotography with CCD cameras. These filters provide a natural colour reproduction of planets, stars, emission- and reflection nebulas. 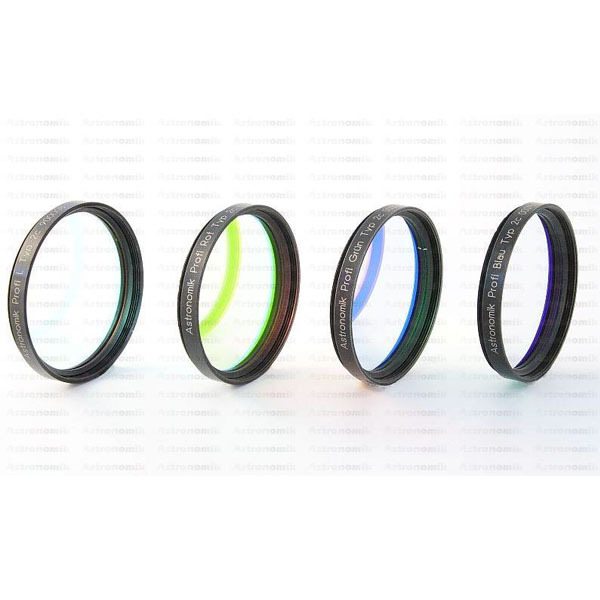 The transmission properties of the L-RGB Typ 2c filters are optimized for CCD astrophotography. The set allows to take images in correct color for all types of objects. Where other brands make strange compromises, we do the best color reproduction possible. Both stars as well as objects that emit only in spectral lines, are reproduced in their true colors. You get CCD images with perfect colors, as if the objects where bright enough to be seen with photopic vision. This feature is the main difference between Astronomik filters an those of other manufacturers. Astronomik doesn«t stop thinking at the step of taking the picture. More important a tool should be given to the astrophotographers that offers a simple and elegant editing process. To maintain the colour, we calculated our filterset for the sRGB color space, that is used as an industry standard from most manufacturers of monitors, printers and imaging software. As a user you do not need to spend time to learn about colourimetry and colour spaces. We have solved the special problems of astrophotography for you. Due to the high-precision machining of the carrier substrate, our filters are parfocal with wedge errors below all usual margins. In order not to be the bottleneck in a high-quality optical system Astronomik filters are of course diffraction limited. Issues concerning focal distances as well as the exact location of the images of each colour image are not a problem at all! For planetary observation and photography the color filters are gladly "misused".